The idea of foundation of Ankara University Faculty of Pharmacy was first suggested by Prof. Mustafa Necip Suner who was a professor of Materia Medica in Ankara University Faculty of Medicine. 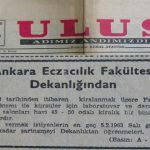 Prof. Suner had contributed to the decision of establishing a “faculty of pharmacists” in Ankara University which was taken by the Professors Committee of Ankara University Faculty of Medicine in 1953. Prof. Enver İzgü, Prof. İzzet Kantemir, Prof. Kazım Aras, Pharm. Şevket Yağtu and Pharm. Mustafa Erkek alongside with executive committee of Second Region Pharmacists’ Chamber of Ankara. Prof. Enver İzgü and executive committee of Second Region Pharmacists’ Chamber of Ankara made effort to make the proposal presented to Turkish Grand National Assembly. Minister of National Education of the time, Prof. Bedrettin Tuncel suggested to change the proposed name to “faculty of pharmacy”. 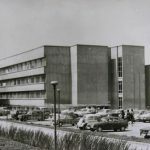 Thus, law number 156 which is the foundation law of Ankara University Faculty of Pharmacy was approved by the parliament and published in the official gazette in 16th December 1960. The faculty started the education in a rented building in Menekse Street, Yenisehir, in 1961-1962 education term with 81 students. Ankara University Faculty of Pharmacy is the second school which gives pharmacy education but it is the first faculty of pharmacy in Turkey. 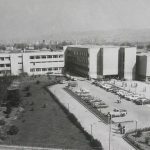 In the early years, Ankara University Faculty of Pharmacy served under tough conditions and with a core academic staff. 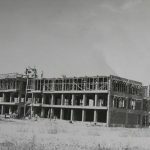 The years between 1960 and 1970 could be accepted as early years of the faculty and the faculty had the accelerated development in the years after 1970.